Keep hearing all this stuff about being more “mindful” but aren’t sure how to go about doing that for more than, say, 15 seconds? (Hey, us, too. Us, too.) Well, to show you that you can do it (for the aptly named You Can Do It Week! ), we have incredibly easy-to-try mindfulness tips from Davidji, meditation expert at Grokker. Give them a shot! 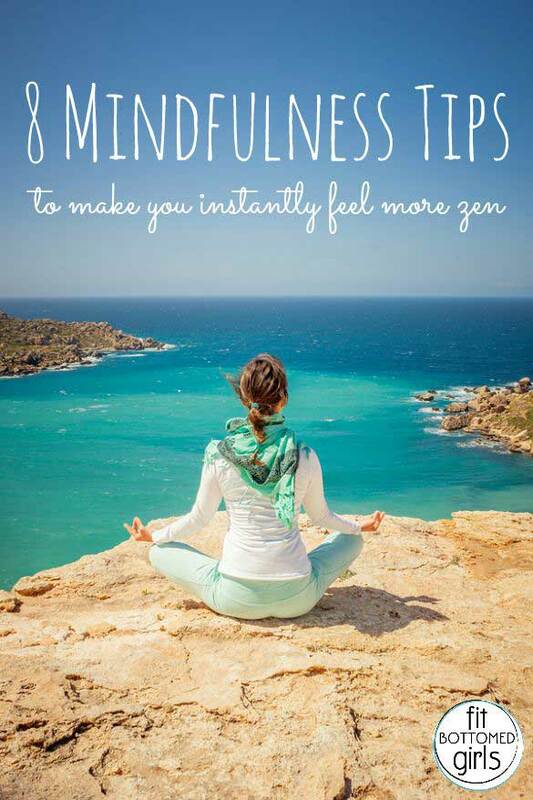 One of the core teachings of living a de-stress-ifyed life — a life of inner peace and purpose — is mindfulness. Slowing down your mind, seeing your thoughts in slow motion, and gaining clarity on what you need in a given moment. Below are some tips you can incorporate into your own life to gain a more peaceful and happy existence. 2.Write down three things that make you feel giddy, joyful or happy. Don’t think about it. Place your hand on your heart, close your eyes, go back in time and stop when you feel yourself smiling. What were you doing? Write it down! Do that three times. 3. Shake your body, move your body, celebrate your body. Dance, run, walk, asana, Pilates, swim, jump around for at least 5 minutes (ideally longer) — but do something. And don’t forget to celebrate your flesh temple: the gray hair, the wrinkle that just came to visit, new muscles, new jiggles, new areas that need tweezing, new parts of your body you’ve just discovered. It’s the only body you’ll ever have. So don’t compare; be grateful. 4. Reach out to your front row. Surround yourself with people who like you, love you, support you, root for you. Identify your cheerleaders and feel the love! Thank them for being in your corner. 5. Do something BIG. Get out of your comfort zone — surf, hike, take an exciting trip, get in your car and watch the sunset, go out with no socks on! Do something different and change up your routine! 6. Forgive. Forgive yourself, forgive God, forgive the world, forgive those around you — especially your petty tyrants. When we forgive, we free ourselves from the ties that bind us to the one that hurt us. That forgiveness starts with you forgiving yourself. 7. Realize where you are. Drink in this sacred, precious present moment. Remember this verse from the Bhagavad Gita — Yogastha kuru karmani — establish yourself in the present moment and then perform action. Don’t keep looking for the divine reason or meaning behind your situation — breathe and surrender. Once you own where you are right now, you can better move forward with grace and ease. 8. Give yourself permission — to become whole, to slowly heal, to awaken your most divine self. Redefine yourself … beyond your circumstance … beyond your diagnosis … beyond your blame. And step into your power.